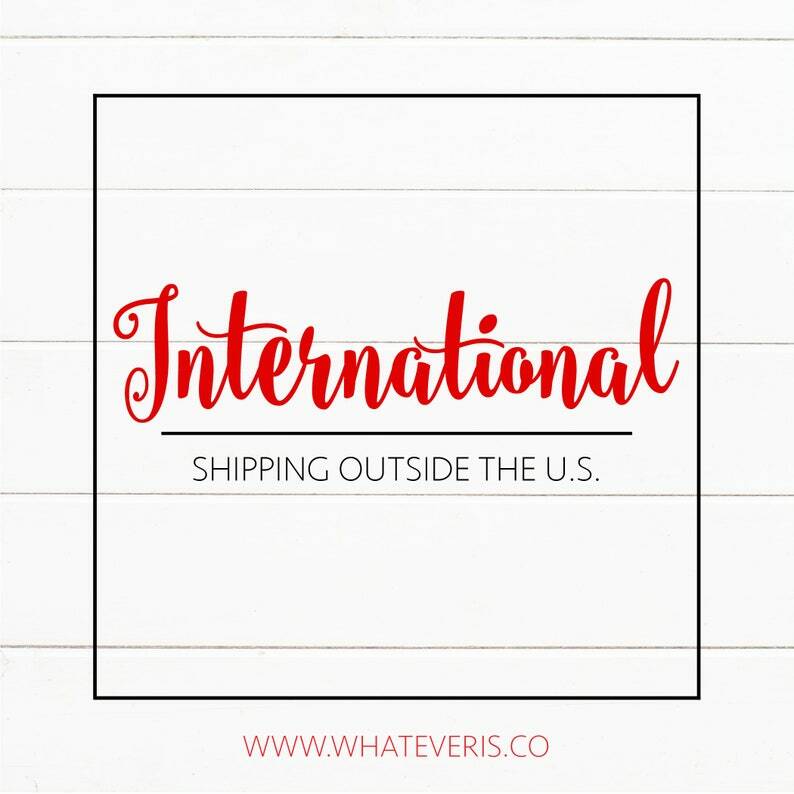 THIS LISTING IS FOR INTERNATIONAL CUSTOMERS ONLY (Outside the United States) that purchase printed stationery. •Please note that customers are responsible for any and all customs/import fees, taxes, duties, as well as any other fees and taxes charged by the country they reside in. • Please allow for additional print and shipping delays during holiday times and inclement weather. Thank you for visiting Whatever Is... I am honored you stopped by! perfect. fits in with my daughter's party theme and colors. we'll be using their service again. I accept payments through Paypal and through Etsy direct checkout. Due to the nature of my business, I do not offer refunds. However, should you run across a problem, please contact me and I will be happy to work something out. All digital file purchases will be sent to you through Etsy Messenger in 2-3 business days from received submitted information. • Printed orders are processed within 1 business day of final approval for printing. • Printing turnaround time is 3-5 business days (Monday-Friday) from time of print approval. Orders then will then be shipped via USPS 2-3 day Priority Mail. **The price for printing includes free shipping for deliveries to locations in the Continental United States via USPS 2-3 day Priority Shipping. **Orders shipped to Alaska, Hawaii or any international destination will be billed an additional shipping charge. *Please message me for a quote. If you would like a custom order, message me with the details and I will try to get you want you want. Please note that if you request a custom order, it may take a few extra days.